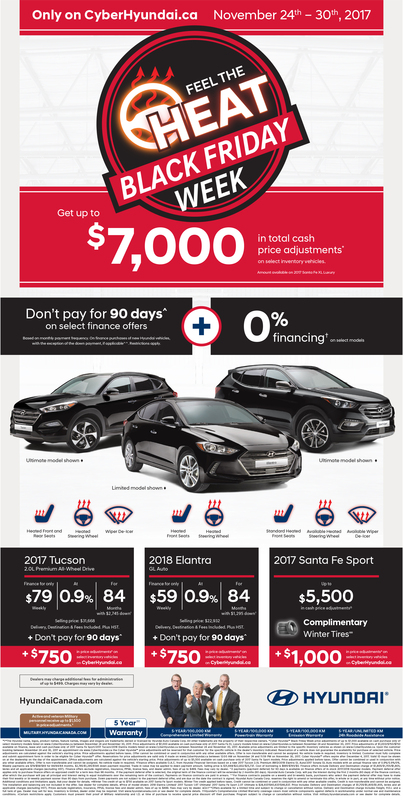 Feel the heat this Black Friday week & get up to $7,000 in total cash price adjustments on select inventory vehicles! Hurry in, Black Friday week ends November 30th. Call us (416) 787-9789 to book your appointment or click here to book a test drive today!